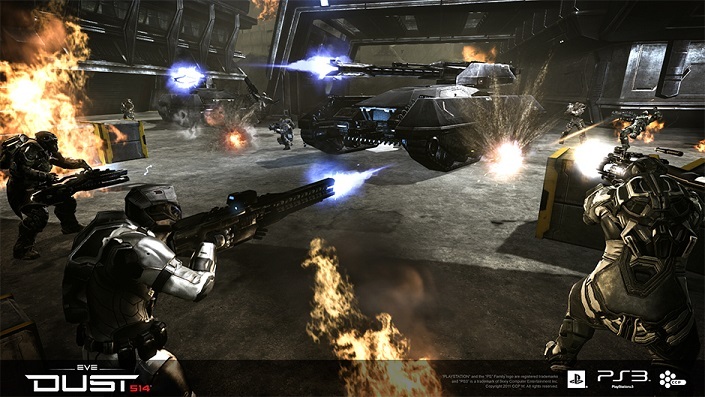 Dust 514 is a free-to-play open-world MMOFPS from CCP Games and Sony Computer Entertainment set in the EVE universe. 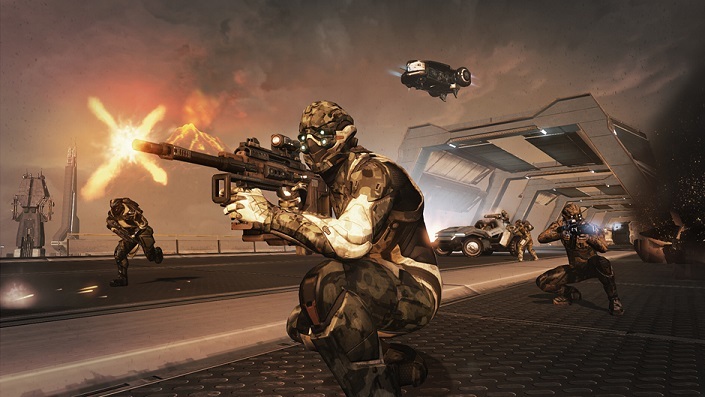 The actions taken by Dust 514 players can and will affect those playing EVE and vice versa. 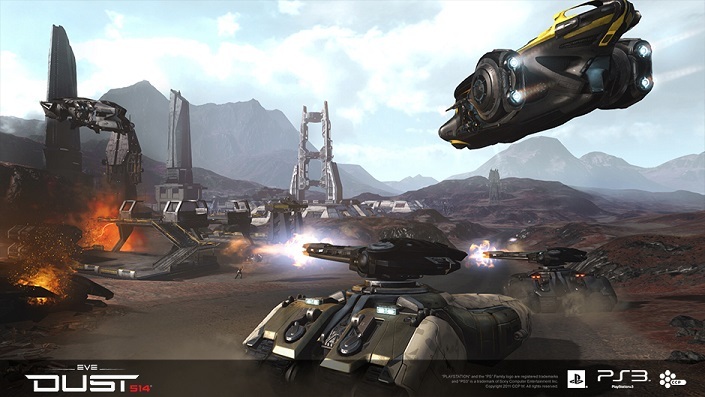 Taking on contracts from EVE corporations are mutually beneficial, but an opposing corporation could call an orbital strike, preventing the fulfillment of a contract. 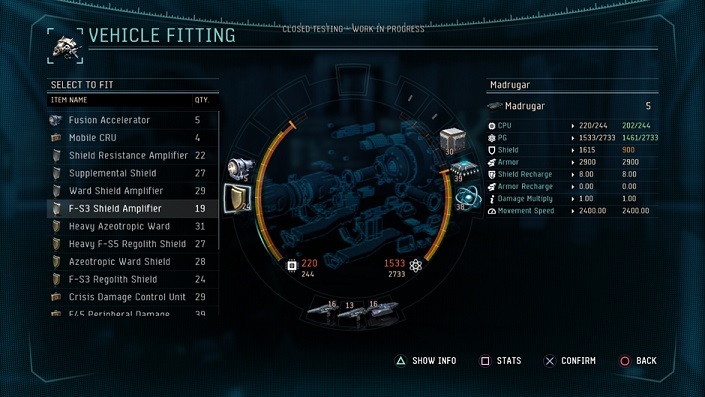 Beyond this integration, there are various game modes, weapon modifications, and skills to gain. 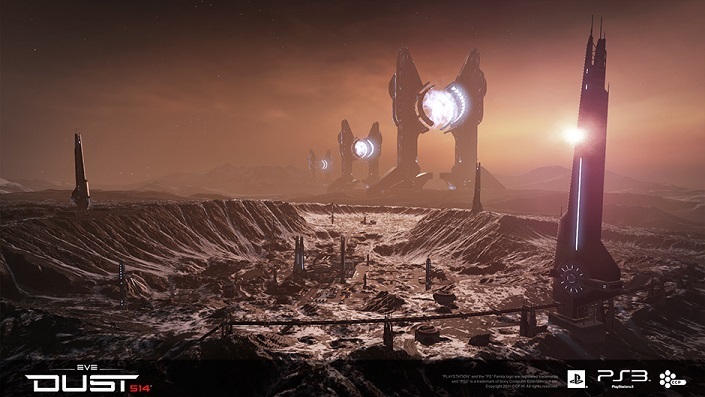 Dust players will be able to participate in campaigns for their factions that coincide with the EVE universe, along with skirmishes to gain experience and currency. 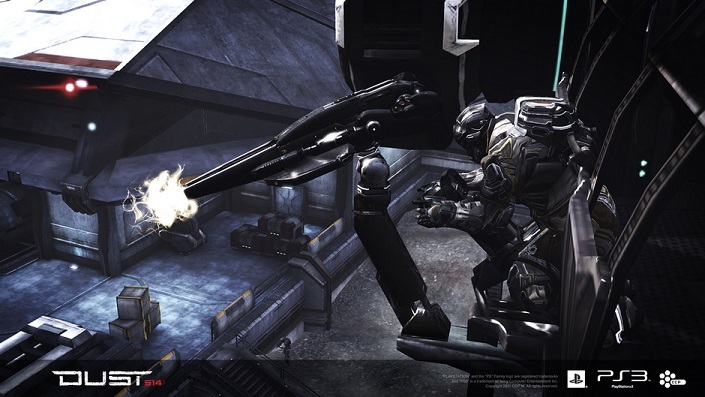 Skirmish modes include Team Deathmatch, Team Deathmatch with power-ups, and two capture modes. 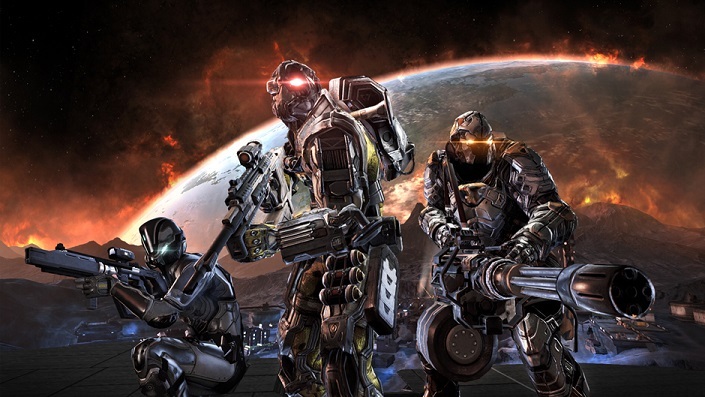 Currency and experience is needed for skill points, which can then be used to upgrade actual skills, increase base stats for a character, and unlock new equipment. 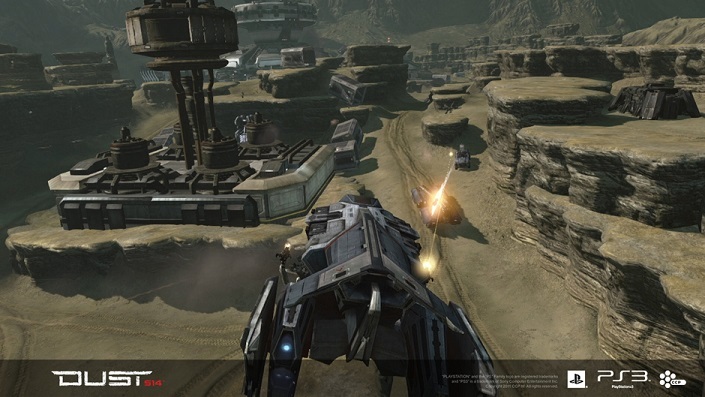 Currency can also be used to call for various vehicles and boosts for a player and/or their team such as air support or a heavy ground attack units. 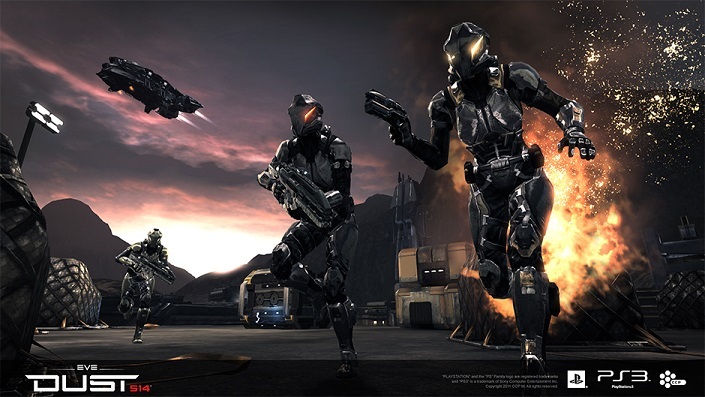 Loadouts are based on an energy system and dropsuits that correspond to differing play styles. 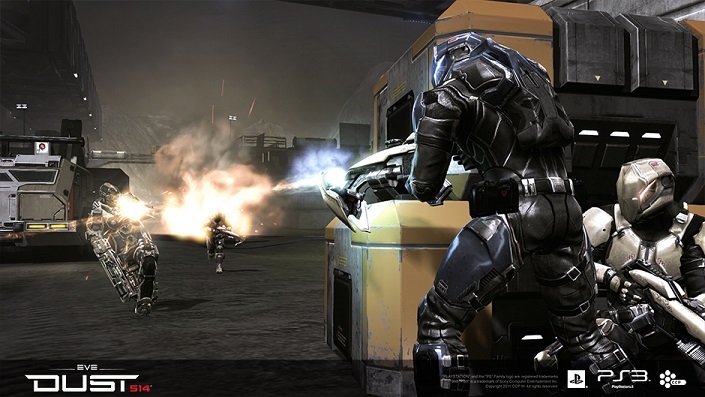 Light dropsuits provide speed, while heavy dropsuits are defensively strong. 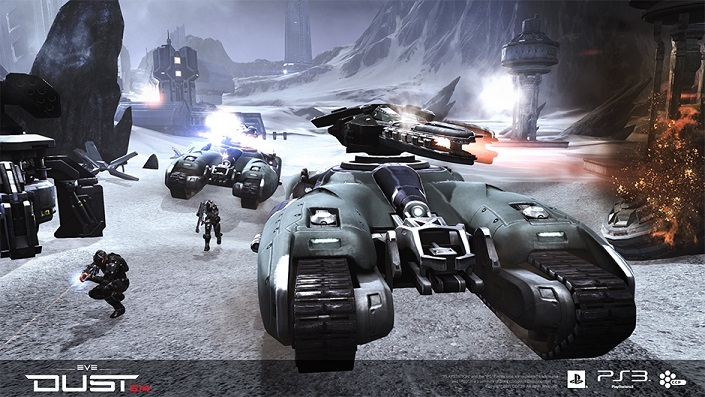 Players can build their skills to be a frontline tank, advanced recon, or offensive assault unit. 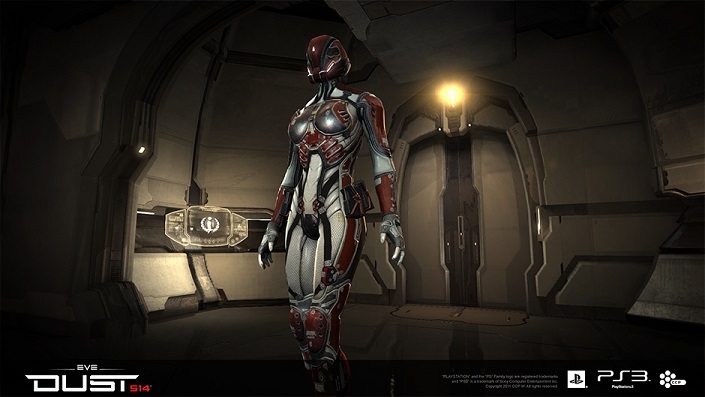 As players progress, they can choose between for a specific dropsuit or strengthening stats that affect all dropsuits along with various options to upgrade weapons and armor. As long as modifications fit within the energy system parameters, they can be utilized. Guys, it’s not a PC platform game, only Playstaion platform. 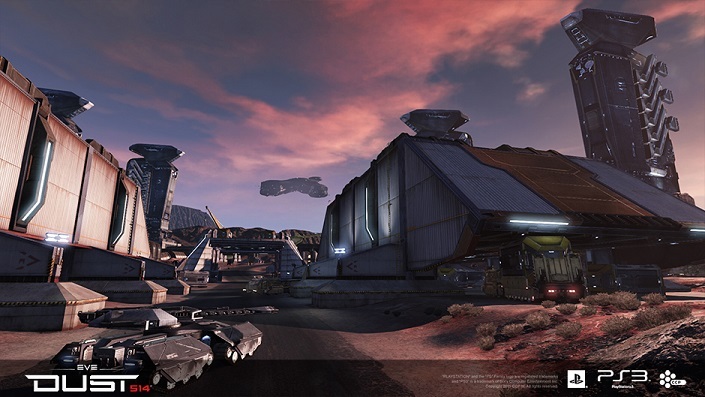 This game looks real neat and almost a Planetside 2 feel, but it’s only a Playstaion platform game and shouldn’t be on here if it isn’t a PC game at most. Other than that it’s real neat and if you have a PS4 then give it a go! GUYS. Its not a PC based game. 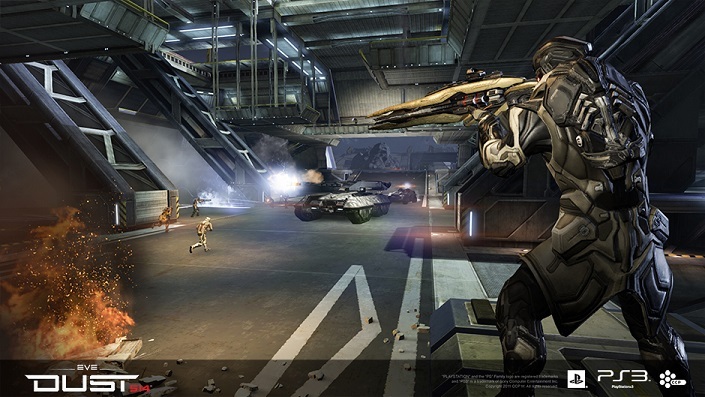 Its free on PS3 and all the other Playstations platforms. 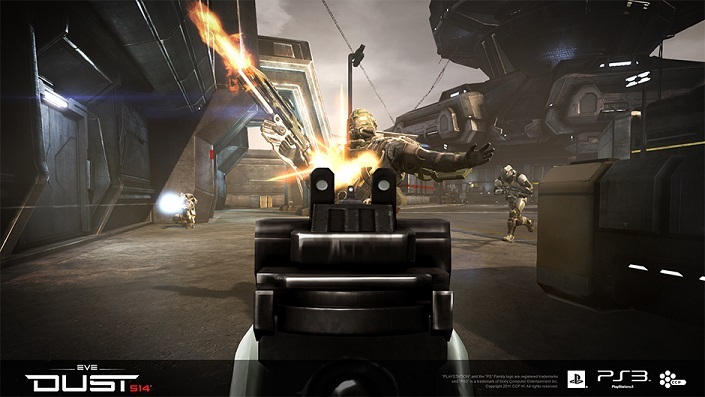 MMOBomb shouldn’t really have it up here since it isn’t a PC game at most, but it looks real neat and almost like a Planetside 2 feel. Problem is that it’s not PC.